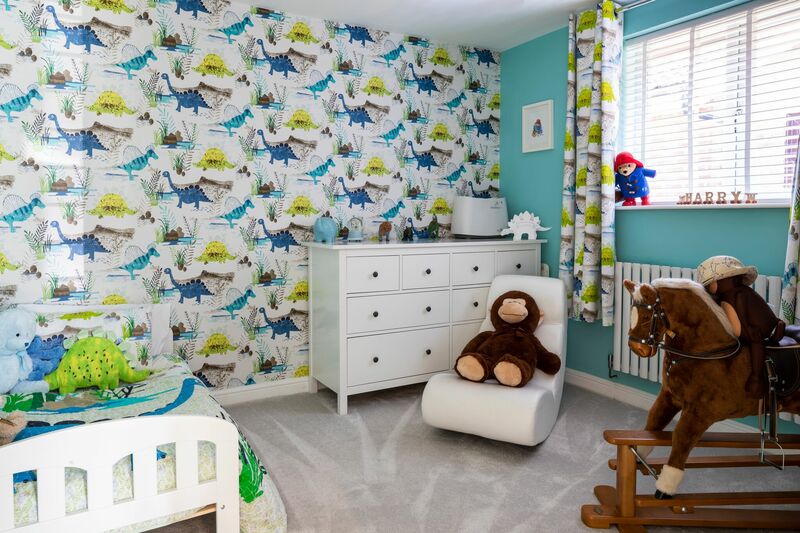 This homeowner was ready to jump on the open plan trend, as they were looking to convert their cramped, divided layout into a bright and happy space. This two storey home was transformed into a place that was perfect to raise a growing family - with the real pièce de résistance being the spacious kitchen, dining, and living area situated at the rear, soon to become the heart of the home. 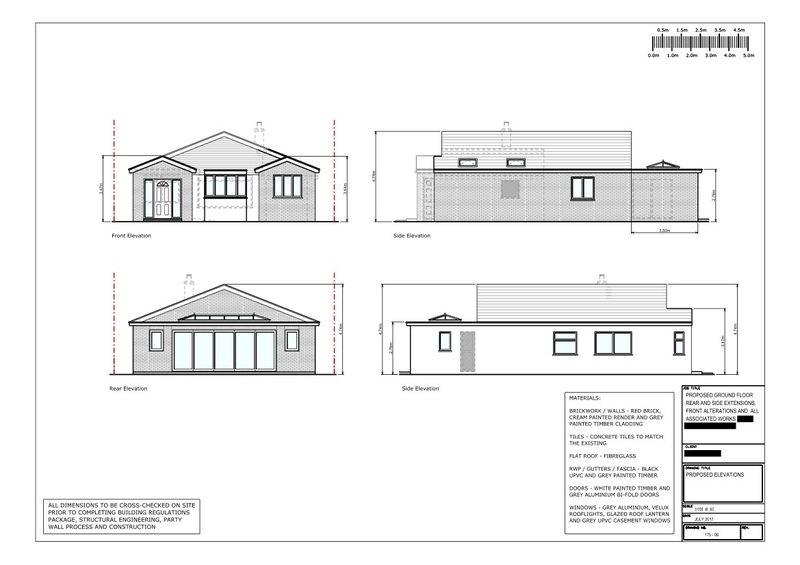 This project was carried out under householder planning permission, which was granted on 28th September 2017. 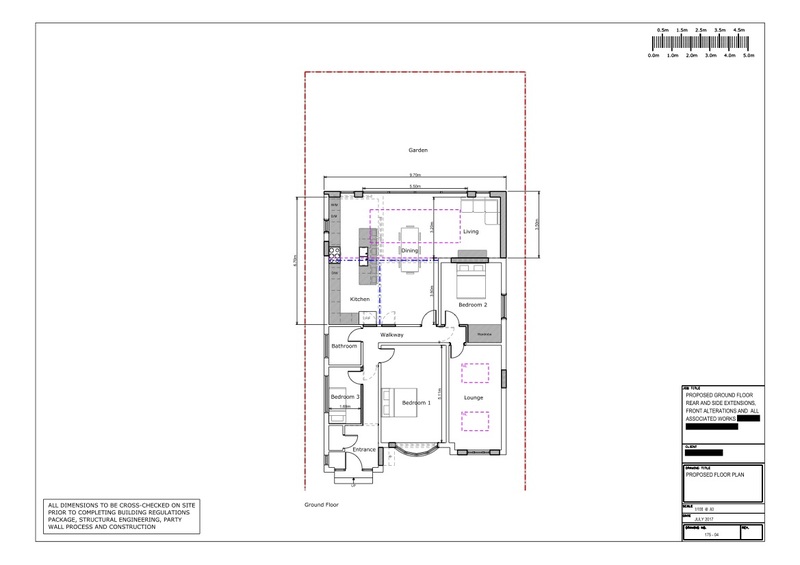 Our client was looking to use this ground floor rear extension in order to ensure that their future home, as it was newly purchased, appeared light and open. On top of this, they were aiming to convert their garage, to leave them with extra living space. Our client expressed that an important aspect was for the proposed exterior of the building to match with the existing colour scheme. 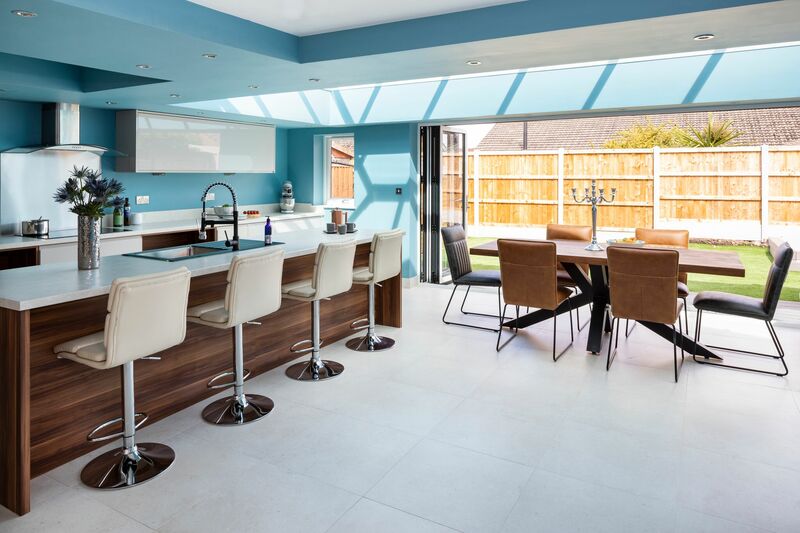 I designed a plan that completely opened up the rear of the property… the cramped and divided layout was transformed into an open plan kitchen, dining, and living area. 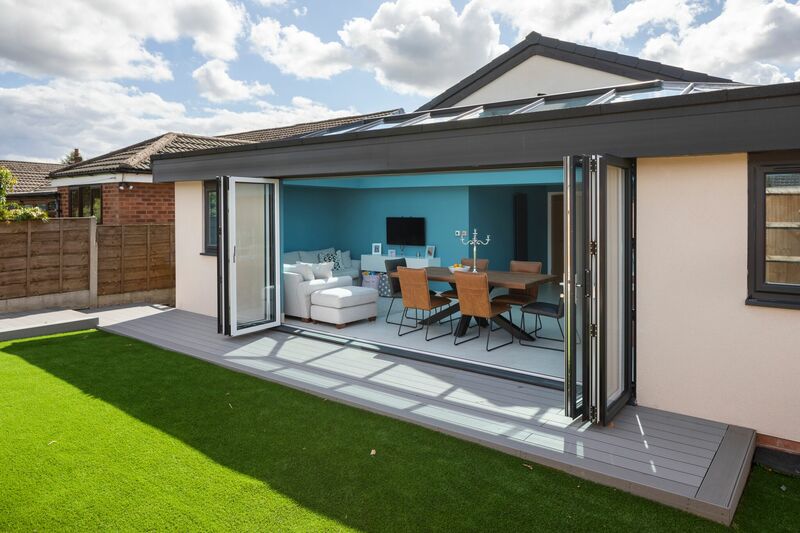 This new space was filled with plenty of natural light, due the glazed roof lantern, uPVC casement windows, and aluminium bi-fold doors - all of which were predominantly grey, in order to meet the client’s specification of a consistent exterior style. 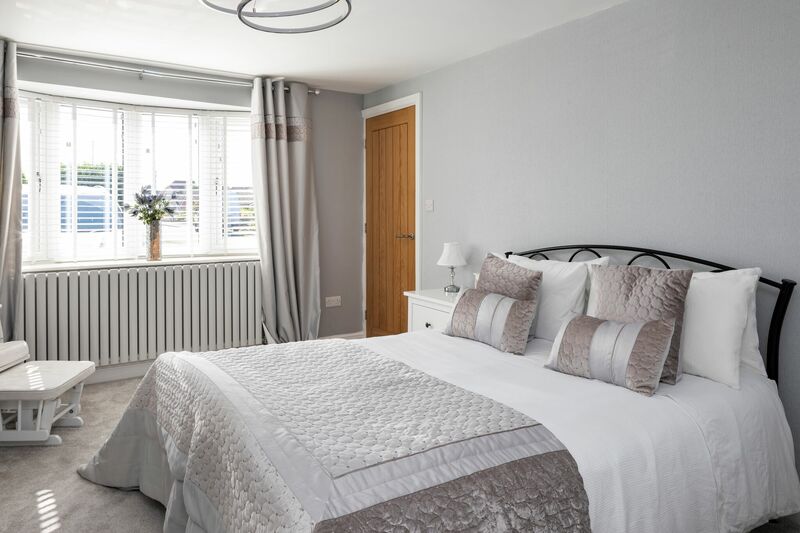 Three bedrooms were incorporated into the overall layout, one towards the rear and two at the front of the property, perfect for a growing family. 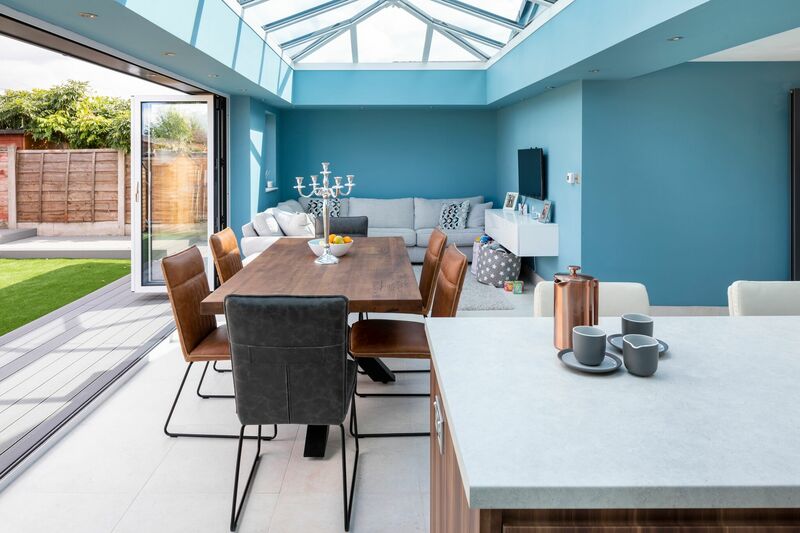 The garage was converted into a spacious lounge area, with two Velux roof lights to ensure the space was light and airy.